“Remember that the happiest people are not those getting more, but those giving more.” By H. Jackson Brown, Jr.
About this time last week, we were tracking the movement of the Utah Team as they arrived in Costa Rica and later on to Copey. And, it feels wonderful this week to be bathing in the sunlight of excitement and joy. The team had an amazing experience and from all indications, their expectations were all exceeded. They accumulated a very long list of great memories I am told. My impression is the excitement began quickly upon arrival in Costa Rica. The 400 pounds of school supplies were successfully delivered last Sunday. They spent time on Monday helping unpack supplies and worked with the Copey Learning Center students. They visited Larry and Cindy, Larry’s Fold-A-Mansion construction site, visited both the local elementary and high school, skyped with their Meadow Elementary students, shared a farewell dinner with several board members, and did much more in the short three plus days in Costa Rica. I am so grateful for Carolyn, Tamarie, Lisa, and Debbi. You all made a difference! A few more of the great photos are shared. Possibly, next week you will be treated with a first-hand trip report by Principal Carolyn Johnson. She has accepted my invitation to be the “guest Blogger” and plans to share many of the details and impressions she and her team experienced in Copey. Being back at my college here in southwest Virginia and east Tennessee provides me the opportunity to serve and support the institution that made a huge difference in my life. It also provides me the opportunity to visit with both family and friends. Among the friends are those “Friends” who support the Pathway Project. So wonderful to know there are many “Friends” gearing up to support the arrival of two Copey Learning Center students in June. Additionally, there are two Emory & Henry College (E&H) students preparing to leave for Copey in May. The E&H College Alumni magazine hit the streets recently and “Friends of Copey”, “The “Pathway Project”, and our “Friend” Jane Rutledge were all featured in the magazine. Such a thrill to see our “Friends” story being told in such eloquent fashion. Our college emphasizes “Ampersand” as one of its true educational values. “Ampersand” focuses on stressing the importance of education and the common good for our society. In other words, Ampersand is seeing a problem, obtaining the needed knowledge/skills, and applying these to achieve a solution that serves or benefits our world community. We believe with sincerity that “Friends of Copey” models the principles of “Ampersand” and grateful to be included as an example for some to learn about and others to follow. The article concludes by saying “This is just one story that exemplifies E&H College’s commitment to educating students who understand how to build relationships and solve problems.” That’s Ampersand…&…that’s “Friends”. If you are an alumni, check out the story in the current March issue. You won’t be disappointed. Enjoyed seeing you on campus and hearing about your continued amazing work!! Looking forward to reading all about the future “Friends” to come!! Was very special to have the chance encounter. Your time in Copey was the first for the Pathway Project and you were the perfect one to lead the way for others. Look at the photos when convenient and see how many of the students have grown. You make a difference. Thank You…! 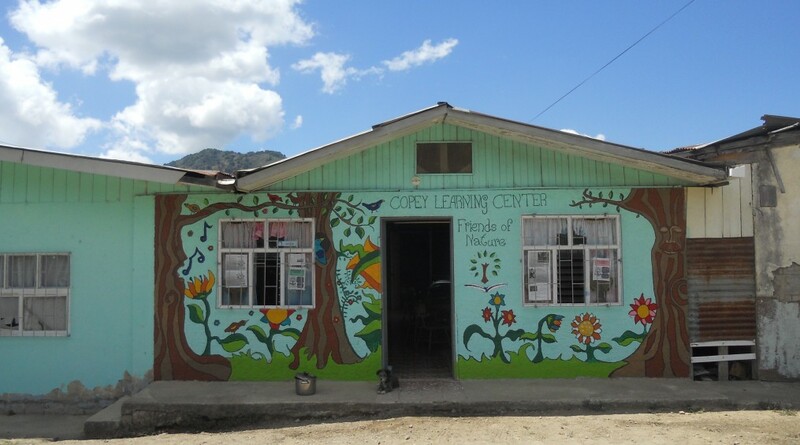 A wonderful recap of the Utah Team arriving in Costa Rica/Copey. The look on the team and students faces reflect a wonderful time held by all. Thanks to the team for caring and making a difference in the lives of others. Art thanks to you for all you do.